My name is Joe and I am a collector. I’ve been a collector most of my life. In my youth I collected stamps, coins and baseball cards, among other nefarious items. My collecting interests have changed a number of times over the past 72 years, but some of the things I still collect are baseball memorabilia, including signed baseballs and photographs, celebrity autographs and books. Among my book collections are author collections (Vincent Starrett, Michael Harrison, Christopher Morley) and subject collections (Jack the Ripper, Dickens’ Edwin Drood and film and television). I have also collected various mystery and detective authors. Of course, my main collecting interest is Sherlock Holmes. I did not start out to collect Sherlock Holmes. 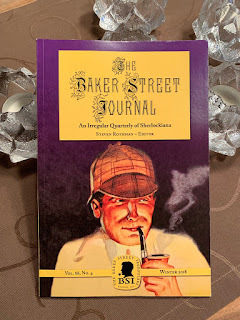 I had been reading mystery and detective fiction since grade school and in about seventh grade began periodically checking out The Complete Sherlock Holmes (Doubleday one volume) from my local public library. I also began watching the Rathbone/Bruce films on television. I was hooked on Sherlock Holmes but apart from a copy of the Canon (eventually) I had no other books on the subject. Fast forward to the mid-1970’s and the re-birth created by Nicholas Meyer’s The Seven-Per-Cent Solution. I was not a young husband and father working for the federal government visiting bookstores whenever I could. One of the first books I found was a remainder copy of Baring-Gould’s Sherlock Holmes of Baker Street and it was a life changer but not the way you might think. I actually wasn’t that enthralled by the book but in Appendix II in the back I found a goldmine. 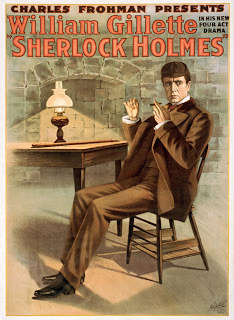 At this time I was unaware of the BSI or local scions; I didn’t realize there were books written about Sherlock Holmes. Appendix II was titled “The Bibliographical Holmes: A Selective Compilation” and contained a listing of books in the Higher Criticism as well as parodies and pastiches. It opened up a new world. However I didn’t immediately go searching for those items. This was pre-internet and I was unfamiliar with other than local dealers. Because of Meyer’s book and interest it engendered, there was a spate of new books being published by authors such as Michael Harrison and Michael Hardwick. I began simply by purchasing some of these new books as I found them. It was also about this time that I learned about a local scion, The Noble Bachelors, and joined. As far as my involvement in Sherlockian activities, the rest is history, but I was still not really a Sherlock Holmes collector. I did eventually manage to learn of some far flung dealers selling Sherlockiana and began picking up a few important volumes when I could afford them. My primary interest was in obtaining the material which was not readily available. One of my earliest joys was Seventeen Steps to 221B edited by James Edward Holroyd, a collection of essays by British Holmesians. A few other items from this period were My Dear Holmes by Gavin Brend, Holmes and Watson by S. C. Roberts and Sherlock Holmes Commentary by D. Martin Dakin. As you can see I had what amounted to a “Sherlock Holmes shelf” but I was not yet a Sherlock Holmes collector. Then in the late 1980’s a momentous event occurred. I’m still not sure if it was a blessing or a bane. A local Sherlockian and BSI, Dr. Bart Simms, was moving from a house to an apartment and had decided to sell his rather voluminous Sherlock Holmes collection. He made the announcement at a meeting of my group, The Parallel Case of St. Louis, and offered to sell it to any local Sherlockian interested and he set a price which, while extremely generous, was a great deal of money to me at the time. However, I finally made the fateful decision to purchase the collection and we worked out a short time payment plan. The day finally arrived and a friend and I made numerous trips to his house one Saturday to pick up the books and other items. Now I had a collection and I was definitely a Sherlock Holmes collector. It also turned me into a Sherlockian dealer. Since some of the items in the collection were duplicates, I set about selling them to help pay for the collection. I find that I am still selling some thirty years later but that is another story. By this time I was well up on Sherlockian activity, had attended BSI dinners and knew John Bennett Shaw and others. One of the first things I decided after obtaining this collection was that I had a duty to add to it and I set out to do that. Somewhere along the line I decided to become a completest and made a grand effort in that direction. I eventually determined that it was impossible and far too expensive. I ended up with a great many items that really didn’t hold my interest, such as pastiches, comic books, children’s books and a large number of periphery items. When I finally came to my senses I made the decision to concentrate on the “higher criticism” or “writings on the writings”. Oh I do have pastiches and parodies in my collection, but they are one I enjoy such as the Solar Pons books and what I consider to be the better pastiches. I have a few foreign editions, particularly if I like the cover or dust jacket and I have some comics such as Classic Illustrated, as well as books on Sherlockian film and other related subjects but my prime interest is in the critical works. Partly as a result of Bart’s collection, I have developed a fairly decent Arthur Conan Doyle collection, including a wide range of his fiction and non-fiction, biographies and books about Doyle. On my own I developed a love of Vincent Starrett’s work, particularly his books on books and book collecting, so I have a large number of his works, including some very limited items. I met Michael Harrison when he was visiting the US and even hosted him overnight in my apartment and I became fascinated with his writings, so I have a an almost complete Harrison collection. I also collect Christopher Morley but more sporadically, primarily his books of essays, although I have a number of his novels also. In 1993 I remarried and, in order to clear some debts prior to taking the plunge, I sold some of my collection. Of course I then set out to replace the lost items and have managed to obtain most of what I lost. Such is the way of collectors. Somewhere along the line most collectors face two problems, money and space. Both can limit your collection, if you let them. However, with the philosophy that you can never have enough books, there always seems to be room for one more, even if you end up with piles on the floor because eventually you do run out of wall space for bookcases. I even have bookcases in a walk-in closet. Money, or lack of it, can be a bigger problem there are ways around that also, such as choosing books over food or inexpensive motels over four star establishments. It is all about setting priorities. I once listened to a talk about collectors vs. hoarders as related to Sherlockians. I believe there are real and important differences. I collect for a number of reasons. I enjoy reading the material and for years the only way to do so was to own the material or know someone close by from you could borrow it. Most libraries did not contain the items. It is somewhat easier now with collections at places like U. of MN which has put much of their material on line. I like the ability to go into my library and pick up a volume at random to enjoy again or to research an item that came up as a scion meeting or in some other reading material. I like the idea of preserving the material for future Sherlockians. And, I admit, I just like knowing I have it. There is much joy in collecting. One of the biggest joys, at least for me, is searching out and finding obscure items. The internet has made finding items easier but it has also adversely affected one of the joys of collecting. As a result of the internet many small, and large, bookstores have disappeared. Half the fun is searching through a bookstore and handling the books and suddenly coming across the item of your dreams. Another joy is to find something for which you weren’t even looking, maybe didn’t even know existed. The hunt is a big part of collecting. During my career, I traveled quite a bit and I always tried to find a bookstore or two in whatever city I happened to be in. It made the trips much more interesting. I know today that the number of collectors among Sherlockians is dwindling and that’s okay. Material is more readily available, but I do think most if not all Sherlockians should have a small collection of important books readily available. I was going to include a list of important titles but the Shaw 100 is readily available and, more recently, the Sherlock Holmes Almanac contains several lists of important books. I also believe that all Sherlockians, collectors or not, should at least be aware of the men and women who came before and the important works they produced. Everyone should be familiar with the works of Blakeney, Brend, Bell, Brend, Montgomery, Grazebook, A. Carson Simpson, Harrison, Holroyd and Edgar W. Smith and Vincent Starrett among many others. These and others have given me and other knowledgeable Sherlockians countless hours of enjoyment and enlightenment and should not be forgotten by newer Sherlockians. My collecting has had its ups and downs but I am a happier person because I am a collector and because I can and do enjoy the material any time I choose. Editor's Note: Joe also has quite a large Sherlockian autograph collection as well. Here are a few pictures I took when I visited his collection earlier this year. Eleven of our esteemed members gathered on March 9th to discuss “The Adventure of the Reigate Squires” (or Reigate Puzzle, if you happen to have been around when the story was published in America in 1893). Rob Nunn was out of town, so the meeting was led by Tassy Hayden. We once again debated over Holmes and Watson, as the film won four Razzies: Worst Picture, Worst Director, Worst Supporting Actor, and Worst Prequel, Remake, Rip-Off, or Spin-Off. It should be noted that Will Ferrel was nominated for Worst Actor but lost to Donald Trump. The conversation around lapel pins continues. Kristen has done some research, and there are many online outlets that can produce pins, and some that will help with designs. The next step is to choose whether we would like enamel or brushed metal. Joe brought up the point that members who have the previous design might like to have a new pin, and we discussed the possibility of a design contest. Announcements continued with reminders of several upcoming Holmesian conferences as well as meetings of nearby Scions. The annual Noble Bachelors Dinner (and the Scion’s 50th anniversary) will be held on April 20th at the Lemp Mansion, and invitations will go out soon. Finally, The Parallel Case is now on Instagram, username @parallelcaseofstlouis. Next, we turned our attention to the story. We start with Watson retrieving Holmes from a hotel in Lyons, where he is convalescing after over-exerting himself for over two months of investigation into the Netherland-Sumatra Company, a case which has brought him international fame. Watson decides that Baker Street is not peaceful enough for Holmes’s recuperation, so the two travel to Reigate, in the Surrey countryside about 22 miles from London, to spend time with Watson’s bachelor friend, Colonel Hayter. But mystery and adventure always seems to find our heroes, and on the night of their arrival, they hear of a curious burglary at the home of one of the two richest estates in the area. An odd assortment of objects was taken. 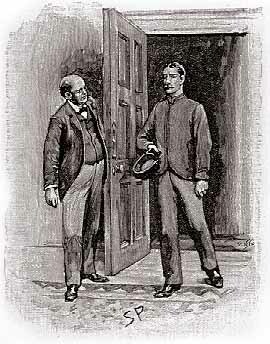 The next morning, local Inspector Forrester arrives to ask for Holmes’s help. 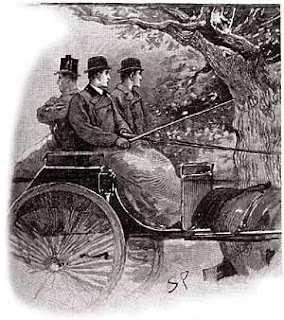 It appears that the other large estate, that of the Cunninghams, was targeted for burglary, and that a young coachman was killed by the fleeing criminal. Both of the men in the household, father and son, arrived on the scene shortly after the murder, and a torn piece of paper was found in the fist of the victim, which appears to solicit an appointment. Holmes takes great interest in the paper clue, and travels to the Cunningham estate to investigate. He returns and collects Watson, Hayter, and the Inspector for a tour of the house. What follows is a display of Holmesian genius showcasing his acting and deduction as well as his skill at handling haughty criminals. He finds the rest of the torn note in the pocket of the son’s robe during a distraction he created, but is immediately set upon by the Cunningham men. 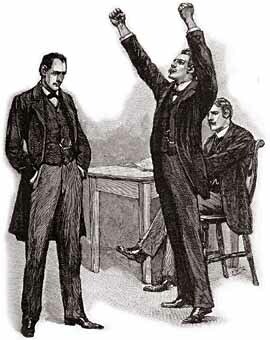 Holmes demands that the men, who certainly appear guilty based on their violent actions, be arrested for murder. 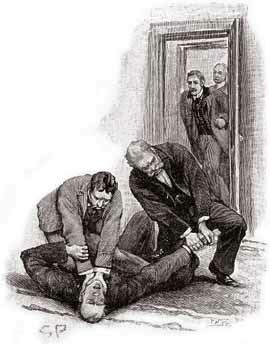 Holmes then separates from the group again, and they reassemble, with the addition of Mr. Acton, the head of the other large estate, back at Hayter’s house. 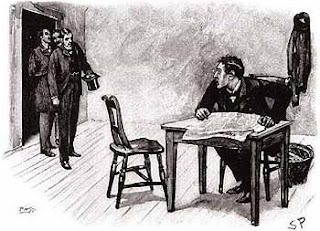 Holmes then lays out several clues, including the absence of footprints of a fleeing criminal, the absence of powder burns on the body, and, of course, an analysis of the fragment of the note from the dead man’s hand. 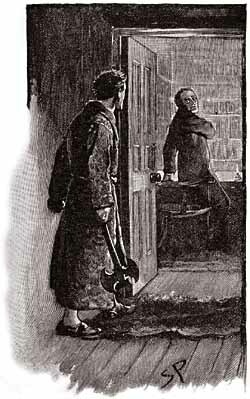 Mr. Acton confirms a motive for the Cunninghams’ attempted burglary of his home, as they are involved in a land dispute, and Holmes concludes that the coachman saw his employers in their attempt, leading him to attempt blackmail and the Cunningham son to lure and kill him. 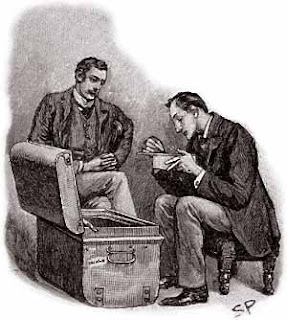 Many exclamations over Holmes’s brilliance, ingenuity, and acting ability resound, and Holmes and Watson plan to return to London the next day. ACD included this story on a list of his twelve favorites, stating that “on the whole, Holmes himself shows perhaps the most ingenuity.” Elaine summarized the About Sixty essay by Ashley D. Polasek, who wrote that this story has a bit of all the best characteristics of other stories. In “The Reigate Squires,” we see several types of forensic analysis (footprint, powder, and handwriting), compelling clues (unconventional burglaries), an illustration of the caring relationship between Holmes and Watson, Holmes’s acting, and an action packed, told-in-the-moment denouement. As a group, we bemoaned the absence of a film adaptation, noting Holmes’s theatrics, the mental gymnastics involved, and the physical altercation with the Cunninghams seem like they would provide quite a lot of dramatic interest. Our next meeting will be on May 11th at 1 pm, and we will be discussing The Adventure of the Crooked Man. We may have gotten snowed out last month, but we made up for it at our rescheduled meeting this month! With it being tax season, our group was bumped down to the small meeting room, and we were at capacity for sure! 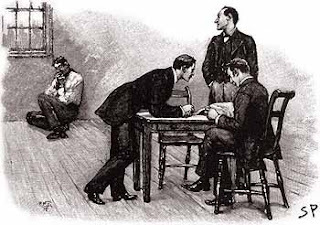 17 old and new Sherlockians got cozy to talk about a lot of news and the minutiae of one of Holmes' early cases, the Musgrave Ritual. Joe brought everyone up to speed on the events from this year's BSI Weekend. He also pointed out that the latest issue of the Baker Street Journal had obituaries for a few St. Louis Sherlockians. We discussed the Will Ferrell Holmes and Watson movie. Although the critics hated it, some of Parallel Case members liked it. Some of us agreed with the critics. Tassy introduced everyone to a new group, Doyle's Rotary Coffin. Netflix has a new show in development based off of Holmes' unofficial force, the Baker Street Irregulars. The Enola Holmes movie now has a screenwriter and director. One of our members, Michelle, was on a recent episode of the Three Patch Podcast. Mattias Bostrom recently launched the Talking About Sherlock podcast. Another new podcast that started last month is The Jeremy Brett Sherlock Holmes Podcast. If you aren't seeing updates from The Parallel Case of St. Louis in your Facebook feed, please visit our Facebook Page and make sure that you are following us. 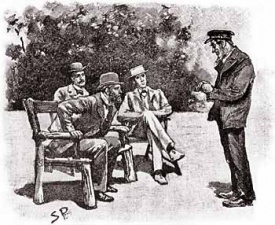 Many Sherlockian groups are planning to start sharing their newsletters, blog and website posts, and any other news through a new email exchange. It is scheduled to start in March. 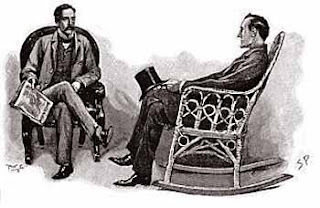 If you are interested in Sherlockian discussions in your email, The Hounds of the Internet listserv might be something you'd like to try out. The annual Noble Bachelors dinner will be on April 20 this year. The next Harpooners of the Sea Unicorn meeting will be on February 15 at Pio’s. 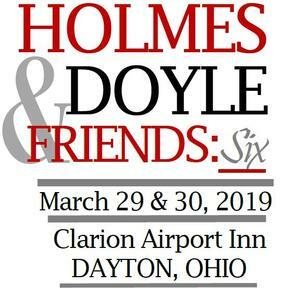 Holmes, Doyle & Friends VI will take place in Dayton, OH on March 29 & 30. Speakers include Susan Bailey, Shannon Neihart Carlisle, Robert S. Katz, BSI, Ann Margaret Lewis, Jeffrey Marks, Scott Monty, BSI, Regina Stinson, BSI, & Vincent W. Wright. 221B Con will take place in Atlanta, GA on April 5-7. The programming list is extensive, but some of their presenters include Nancy Springer & Lyndsay Faye. The Norwegian Explorers Conference will take place at the University of Minnesota on August 8-11. Speakers include Marcus Geisser, B.S.I., Cheryll Fong, Regina Stinson, B.S.I., Peter Calamai, B.S.I., Shannon Carlisle, Dan Payton, Bill Mason, B.S.I., Jeffrey Hatcher, B.S.I., Alan Rettig and Ross Davies, B.S.I. The Left Coast Sherlockian Symposium will take place in Portland, OR on October 12 & 13. The Baker Street Irregulars will dedicate their library collection at the Lilly Library in Bloomington, IN on November 8-10. Joe showed the group some of the old Parallel Case of St. Louis pins, and we decided that it's time to have a new pin commissioned for our group. Details to come. We talked about meeting on the off-months from meetings for social outings like movie nights and game nights. Nellie is going to look into hosting another movie night this summer. We had more than our usual amount of giveaways this month. Rob brought his usual stack and Tassy contributed after Marie Kondo-ing her book collection. We are happy to report that everything found a new and loving home! And if the giveaways weren't enough to appease folks, Rob and Michael had plenty of books on hand to sell. Rob presented some of the books that were duplicates from the St. Louis Sherlockian Research Collection at the St. Louis Public Library. Proceeds from these sales will go towards purchasing new items for the collection. Michael is helping the widow of Sherlockian Barry Hapner move his Sherlockian book collection to new homes. If you are interested in seeing just what these two have available for sale, please contact them personally or email The Parallel Case of St. Louis and we can put you in touch with them. And then, it was finally time for The Musgrave Ritual Discussion! Rob passed out maps he found on Ross Davies' website and Randy shared a few pages from Canonical Crime Scenes. 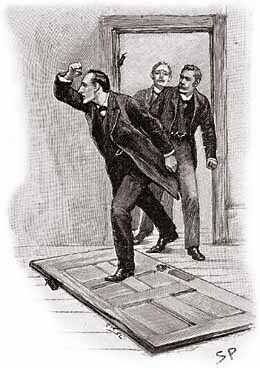 The story starts off with Watson describing Holmes' housekeeping habits: "He was none the less in his personal habits one of the most untidy men that ever drove a fellow lodger to distraction." Watson continues to tell us that Holmes kept his cigars in the coal scuttle (which led to a discussion on how bad they would taste! ), tobacco in the toe of a Persian slipper, and unanswered correspondence transfixed with a jack knife into the very center of his wooden mantelpiece. These few sentences have influenced so many interpretations of 221B over the years, from Gillette to Ferrell. Holmes would also "sit in an armchair with his hair trigger and a hundred Boxer cartridges and proceed to adorn the opposite wall with a patriotic VR done in bullet pocks." We had quite the discussion about this statement and how plausible it would be. Randy and Tassy talked about what Boxer cartridges actually were. It was pointed out that 1887 would have been the queen's golden jubilee, so perhaps Holmes was caught up in all of the hoopla. Nellie shared her expertise by comparing Holmes' bullets to their modern day counterparts. We also debated if it would be probable for him to write VR in the wall, or if his bullets would have just caused the plaster to explode from the wall and create a cloud of dust in the room. Watson then turns his descriptive pen upon himself when he tells us that "The rough and tumble work in Afghanistan coming on the top of a natural Bohemianism of disposition, has made me rather more lax than benefits a medical man." We see this in action in other stories where Watson is quick to hand over his patients to the doctor next door, and this may have led to why Watson has left practice once or twice throughout the Canon. We all agreed that any doctor who would describe himself as "lax" wasn't necessarily one we'd rush right out to consult. We hear all about Holmes' stacks of papers that are never to be touched and how he tends to them once every two years. Heather labeled Holmes as a hoarder, and we talked about the fire hazard that all of the papers would've been, especially with an active fireplace, chemical experiments, and gunfire going off. Rob posited that maybe it wasn't Moriarty after all that set fire to Holmes' rooms in a later story. 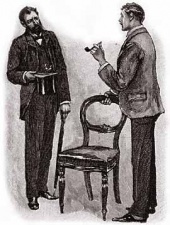 Holmes lists some of his early cases including the Tarleton murders, Vamberry the wine merchant, the old Russian woman, the aluminium crutch, and Ricoletti of the club foot and his abominable wife. 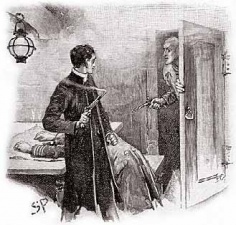 We spent a few minutes kicking around ideas of what these stories could be as well as discussing some of the writings that Leslie Klinger listed in the Sherlock Holmes Reference Library about Holmes' early years. 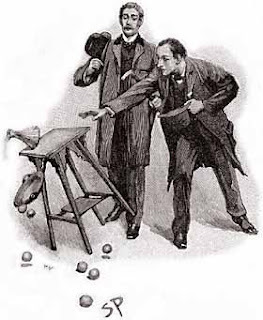 While Holmes is musing about his early days, he pulls out a crumpled piece of paper, and old brass key, a peg of wood with a ball of string attached and three rusty disks of metal, telling Watson that these were the remnants of the Musgrave Ritual, of which Watsonhad heratd him mention more than once. Holmes was living on Montague Street at the time when Reginald Musgrave, a college acquaintance from four years ago, brought this case to him. Holmes described his station at college by saying that "A good deal of talk about myself and my methods" had taken place. Rob thought that this was very different from Holmes saying that he had no friends during his retelling of The Gloria Scott. Randy, Adam and Heather joined in, saying that maybe Holmes was a topic of discussion. Instead of being talked TO, he was talked ABOUT. Musgrave was a scion of one of the very oldest families in the kingdom and had always been interested in Holmes' methods. His was a cadet branch, and Elaine enlightened everyone on just what that term meant. Out of all of these employees, Brunton the butler was Musgrave's concern. He had been there for twenty years, was a former schoolmaster and overqualified for the position. He was a bit of a Don Juan. He had just become engaged to a maid, Rachel Howells, but dumped her for the daughter of the game keeper, leading Rachel to come down with "a touch of brain fever." One night, Musgrave couldn't sleep and saw a light coming from the library. He picked a battle ax off the wall. Let's stop right there. We had some thoughts on this. Musgrave was described as being thin, with languid courtly manners, and a bit of a dandy. And this little guy picks up a battle ax to defend his home. Michael pointed out the symbolism of this weapon. It was used by the royal cavalry during the British civil war, and the same type of weapon was used to behead Charles I by a man named Richard Brandon. Are these just coincidences, or is there some allusion going on here? Anyway, Musgrave finds Brunton going through the family papers, particularly an old family document called The Musgrave Ritual, a set of questions that had been passed down through the family for years. Musgrave fires him for snooping. Brunton begs to not be disgraced and asks for one month's time until he can quit. Musgrave give the man a week's time and is told to use whatever excuse he chooses. Three days later, Bruton has disappeared and Rachel Howells is shrieking with laughter at his disappearance. His bed was not slept in, all of his belongings were still there, but all of the doors and windows were still locked. There was not a trace of him anywhere. Rachel soon disappeared, leaving only footprints that led to the deep lake on the property. It had been drug, and the only thing that was found was a bag that held rusted metal, several pebbles and pieces of glass. Holmes asked to see the paper that had the Musgrave Ritual on it, which Nellie and Kristen acted out for us. Nellie then noted that parts of this were used by T.S. Eliot for "Murder in the Cathedral." We noted that all of us were using different versions of the Canon, so some of us had eight stanzas to the ritual, while others only had seven. Klinger goes into the history of this discrepancy in his Sherlock Holmes Reference Library title. Peter, Randy and Nellie discussed the age of trees and if it was plausible for oaks and elms to grow for so many years. We talked about if something had been around for centuries, and prominently mentioned an oak and an elm tree, both of which were on the property, wouldn't that have been a hint to someone in this family along the way? Maybe that's why Holmes tells Musgrave, "Your butler... had a clearer insight than ten generations of his masters." Which is just a nicer way of saying your butler is smarter than your whole family. This might be why Holmes didn't have friends in college. Holmes and Musgrave to to Hurlstone Manor, where all of this has taken place. Holmes notices a large oak in front of the house and learns that a large elm was struck by lightning. He asks Musgrave the height of it, and Musgrave remembers that Brunton had recently asked him about the same tree. 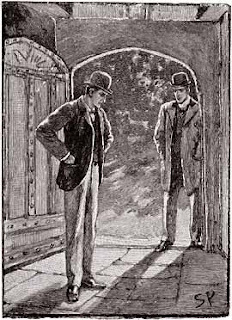 Holmes measures the shadow from the oak and finds his starting point, just two inches from a spot where Brunton had made in the ground. And here's where we started talking about math. We discussed just how tall oaks and elms can grow, their circumferences, girth, diameter, etc. Admittedly, most of us were a trifle rusty on our geometry. But a lot of us took issue with the fact that this ritual would still work hundreds of years after it had been written due to the fact that these trees would still have grown. Even if they had topped out, they would still gain an inch or so in height each year. Compounded over centuries, this would have been enough to throw the whole starting point off. Whether the starting point would have been true or not, Holmes steps out the ritual, eventually finding himself in a cellar where a space had been cleared away over a heavy flagstone. On it lay Brunton's scarf. The contables were called in, and the flagstone was removed to find Brunton's dead body in a chamber next to an old chest that held rusted metal disks. 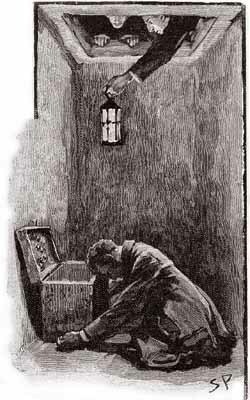 Holmes deduces that Brunton and Rachel opened the chamber and he went in. Either she trapped him in there or the supports gave way, sealing his fate. Was it homicide or an accident? There were plenty of opinions all around the table for either option. It was wondered how long it would've taken Brunton to die in the enclosure. After some quick calculations (more math! ), Dr. Tassy figured that Brunton had about two hours in the chamber before he died. Musgrave looks closer at the metal disks and realizes that they are coins from the time of Charles I. Holmes then looks at the bag's contents and sees that the twisted metal was the ancient crown of the kings of England! The crown remained at Hurlstone Manor, but Rachel got away. Rob, Mary, Michael, Kristen and Nellie all debated if the crown would have really stayed there with lots of historical discussion and conjecture. New member Michelle wondered if Hurlstone Manor was the only place that the crown was after Charles I. This would have influenced some of the historical timing of this case. Michael offered that Holmes did track down Rachel. And for the price of half of her bounty, he allowed her to get away. This would have been why Holmes always had enough money in the early days. Nellie pointed out that if a man had left a woman to die in the chamber, he would have definitely been held accountable at the story's end. As always, we had lots of questions, thoughts and opinions on our story of the month. Another great discussion time! Our next meeting is just one month away, on March 9, to discuss The Reigate Puzzle. Come at once if convenient! Joe and Heather recapped the events from The Gillette to Brett conference that was held in Indiana last month. The Harpooners of the Sea Unicorn will be meeting this Friday to discuss The Cardboard Box. Their annual observance of The Blue Carbuncle will be on December 21. 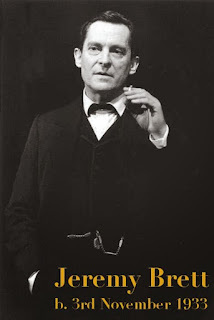 Last Saturday would have been Jeremy Brett's 85th birthday. 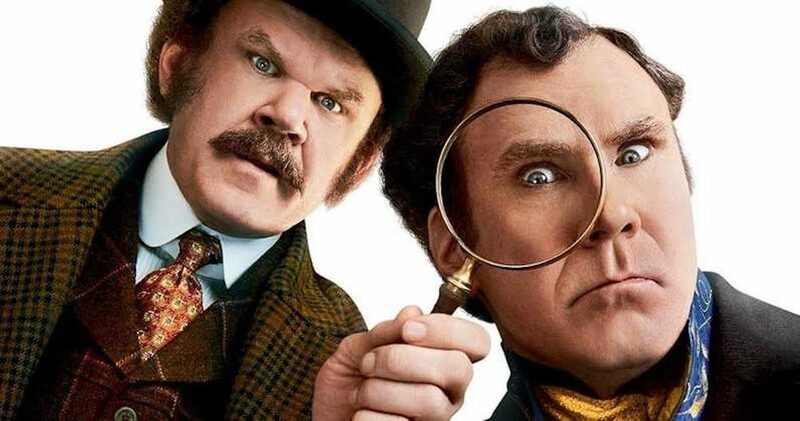 Holmes and Watson opens on December 25. 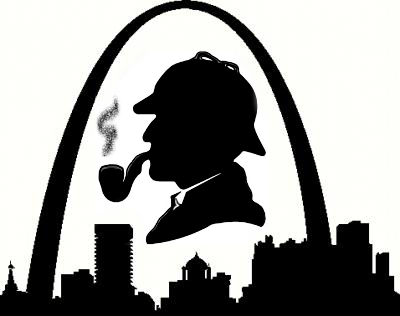 Former St. Louis Sherlockian John Crotty passed away recently. Dear Holmes is a new mail subscription service that allows you to solve monthly mysteries with clues mailed to you by Sherlock Holmes and his associates. The monthly giveaways were passed around, and then it was time for our discussion! 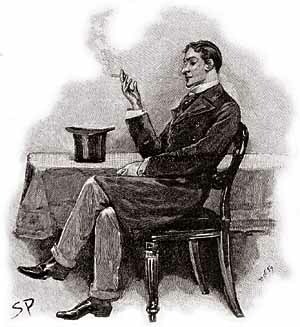 The Adventure of the Gloria Scott is the fifth story collected in The Memoirs of Sherlock Holmes, and was first published in The Strand magazine in 1893. 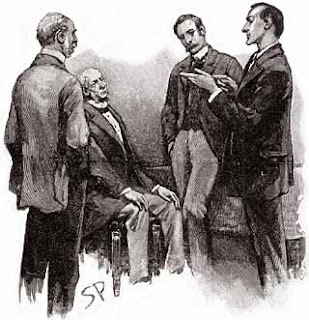 The story starts off with Holmes telling Watson, "I have some papers here." 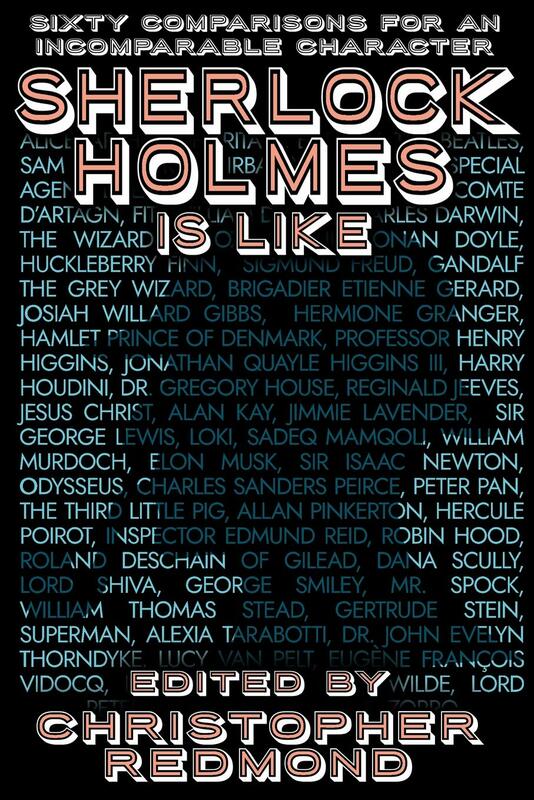 Quite an understatement knowing how much Watson loves to hear about Holmes' early life. Holmes hands Watson a note about hen pheasants that makes no sense, and then tells him that this note "was the first in which I was engaged." He's just toying with Watson now! We talked about what would've prompted Holmes to bring this story up on that day. Elaine proposed that Holmes had recently received a letter from Victor Trevor, which made Holmes think to tell Watson about his first foray into detective work. 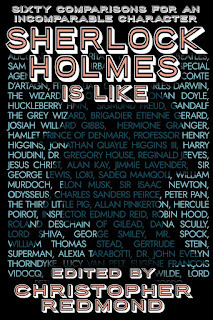 Holmes tells Watson about his days in college where he was unsociable, only participated in fencing and boxing, and was bitten by Victor Trevor's bull terrier. Rob wondered if this was why Watson's bull terrier never made an appearance at 221B Baker Street. 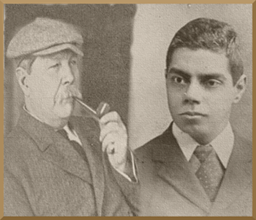 Srini wondered if Victor Trevor was such a "hearty and full-blooded fellow," why was he just as friendless as Holmes? Heather fielded all of our questions about the difference between college and university in London. 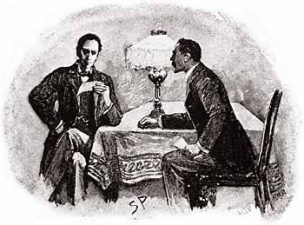 Victor invites Holmes to his father's estate over the long vacation, which would have been some time between July and October. 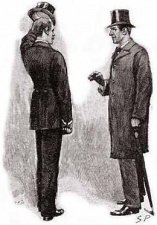 Once he's there, Holmes quickly sizes up Old Trevor as a man of little culture, with obvious money, is physically strong, does not read books, was well-traveled, and known as a kind and lenient justice of the peace. Victor has talked up Holmes' deductive tricks to his father, and Old Trevor asks for a demonstration on himself. Holmes quickly rattles off that he is in fear of an attack, was a boxer in his youth, has done digging in the past, has been to New Zealand and Japan, and someone with the initials of JA was once important to him, but is no longer so. ....And the old man faints. Maybe he wasn't so strong after all. 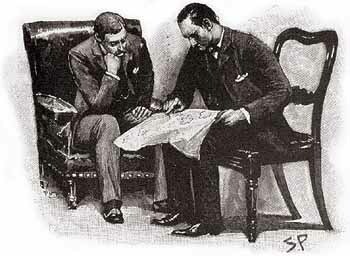 Srini pointed out that Holmes' deductions about New Zealand and Japan were never explained when Old Trevor came to. But Old Trevor does deliver a line that launches the career of the world's greatest detective: "It seems to me that all the detectives of fact and fancy would be children in your hands. That's your line of life, sir, and you may take the word of a man who has seen something of the world." Old Trevor is now nervous around Holmes, so Holmes decides to cut his visit short. But not before Old Trevor is visited by an old acquaintance by the name of Hudson. We then discussed if this Hudson was related in any way to Mrs. Hudson. Rob pointed out that this story also contained the names Armitage and Pendegrast, that we hear again in SPEC and FIVE respectively. We also wondered where exactly Holmes went to when he says he returned to his rooms in London. 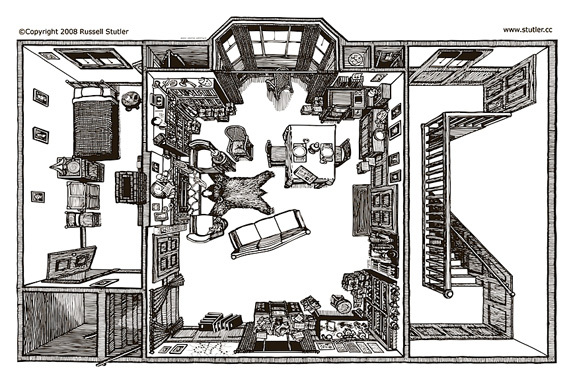 Joe offered that it could have been is rooms at college while Elaine thought he may have settled in with brother Mycroft for a time. Holmes soon hears from Victor that Old Trevor is dying, and Holmes' response to that was it was impossible. 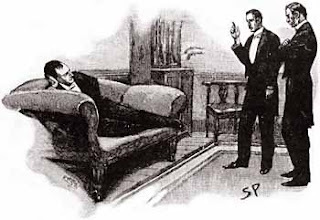 It was noted that Old Trevor had recently fainted from Holmes surprising him, and Michael said that Holmes should have eliminated the impossible and simply said that this was improbable. It turns out that Old Trevor had gone downhill since Hudson had arrived. He was given a job as gardener, but only got drunk and harassed the maids. He was then promoted to butler and was just as horrible at that job. Victor put him in his place one day, and Old Trevor came to Victor to ask him to apologize to Hudson. Victor refused to do so and asked his father for the truth about Hudson, but could not get an answer from him. Hudson soon announced that he was leaving and going to visit Old Trevor's friend, Beddoes. Old Trevor took a turn for the worse, and when a letter from Beddoes arrives, it was almost as if he had had a stroke. By the time that Victor and Holmes have returned to the house, Old Trevor has dies. Holmes immediately suspects that Hudson was blackmailing Old Trevor. Victor gives Holmes the note that had arrived, which read, "The supply of game for London is going steadily up. Head Keeper Hudson we believe has been now told to receive all orders for fly paper and for preservation of your hen pheasant's life." 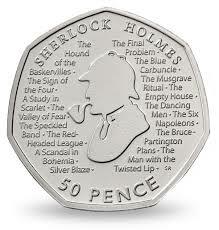 Holmes deciphers the code, reading every third word: "The game is up. Hudson has told all. Fly for your life." Srini pointed out that if this was such an urgent message, was there really a need for this to be a cipher? Victor has a letter from his father, telling him the truth about Hudson and Old Trevor's previous life. His real name was James Armitage and he was aboard the convict ship, The Gloria Scott, headed for Australia that was lost off of the west coast of Africa. 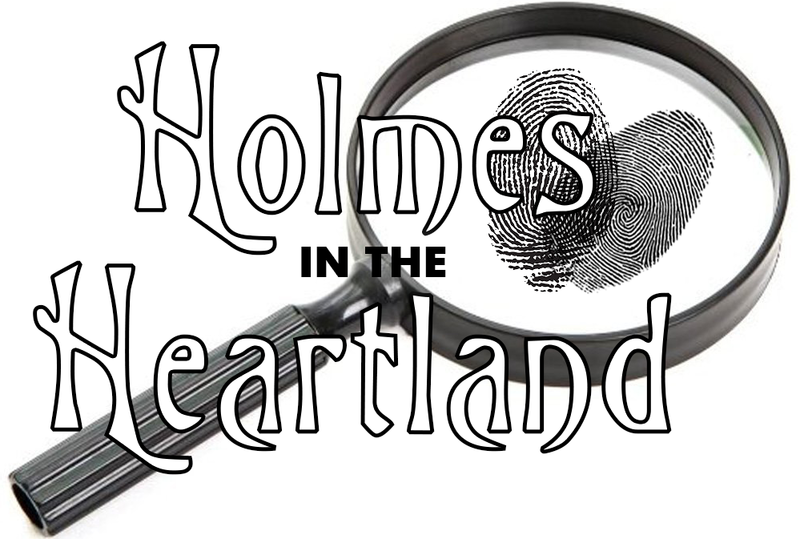 As we recounted Old Trevor's story, Adam pointed out that the dating of this event to thirty years prior did not line up with Holmes' age. Kristen pointed out that Hudson was the one who said it happened thirty years ago, and since he was such a drunk, you probably couldn't trust him. There was a prisoner mutiny on the ship, and Old Trevor and Beddoes disagreed with how the convicts would deal with the ship's crew. They were set out on a lifeboat before the entire ship was blown up by the first mate. 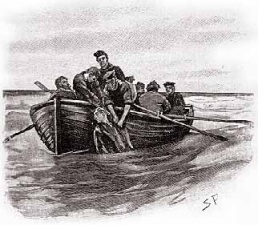 Old Trevor and Beddoes rescued Hudson, who had been a crewmate on The Gloria Scott. The three of them were rescued and delivered to Sydney, where Trevor and Beddoes changed their names to avoid their sentences and Trevor eventually became rich in mining. Once he was rich, Trevor came back to England and became a justice of the peace. Andrew, Kristen, Michael and Srini wondered why so many Australian convicts found their way back to England after being shipped out. We debated how believable this story was, as it was written by Old Trevor, and he could have changed events to make himself look better in his son's eyes. There was also discussion on just how bad of a person was Old Trevor. After Trevor's death, Beddoes and Hudson have disappeared. Holmes believed that Beddoes has killed Hudson and disappeared. Michael offered the theory that Holmes helped to orchestrate these disappearances as well as Victor's tea plantation in India for a princely sum. Maybe Holmes was a criminal mastermind before he was a detective? Rob wondered why Holmes would have the hen pheasant note and Victor didn't keep it for himself. Margie argued that the note was essentially a murder weapon, and if she were Victor, she wouldn't want anything to do with it. Kristen noted that this story had more history than detection in it. Possibly because Holmes was a professional detective yet. Possibly because Doyle was more interested in historical narratives at this point in his life. Michael pointed out that the lost ship trope pops up frequently in the Canon, and this wasn't the only story that contained a false clergyman. Elaine shared Bill Cochran's thoughts on GLOR from his essay in About Sixty. It was tossed around that if this was Holmes' first instance of detective work and he failed at it, is this why he hates blackmailers so much in his later years? We also theorized on where Mycroft would be in his career at this time period and that led to a general discussion about the Holmes family. Heather noted that Holmes only attending two years of college would not be proper, and we then discussed Holmes' college career. Michael quizzed us on what types of alcohol were mentioned in GLOR. Answer: brown sherry and port. We then turned our conversation into introspection and discussed why we Sherlockians love to pick apart the stories and why Americans in particular seem to have a deeper fascination and bigger reaction to intellectual properties than the British. We didn't come up with a definite answer for it, but we can all agree that whatever reason, we're glad that it brings us together every other month. And speaking of getting together every other month, make sure to start off 2019 by joining us on January 12 for The Musgrave Ritual. Come at once if convenient! We had another great meeting this weekend at the Schafly branch of the St. Louis Public Library! You could tell summer was over, as our numbers in attendance moved back up to the larger size that we've been seeing lately. It's sad that vacations are over, but great to see everyone again! We were greeted by a great collage of the Sydney Paget illustrations for this month's story provided by Margie and Karl Kindt. An undeniable touch! Before we started with the usual news and giveaways, our group had a healthy discussion about Holmes in the Heartland. We recapped the weekend's events, talked about ideas for the future, and even recruited some new folks to help planning future events. We ended the conversation with listing off some of our favorite things from the weekend. Specific things mentioned, in no particular order were the speaker presentations, with Tim Johnson and Tassy Hayden's getting specific accolades, camaraderie among the attendees, afternoon tea, Saturday's game night, Mark Twain's performance, meeting our out of town visitors, and the tour of the Becker Medical Library rare book room. Quite a list, indeed! First things first, we had a new member with us! Heather knew some of the Parallel Case members from Twitter and joined us at Holmes in the Heartland. We didn't scare her off, so she came back out for an actual meeting. It's always great to have more Sherlockians join us! Ed Weiss made a visit to the St. Louis Sherlockian Research Collection and gave it a glowing review! He was able to spend a few hours poring through the collection. Being housed in the rare books and manuscript room, Ed said that he had plenty of space and had books and journals scattered all over the tables when he was done. You can nominate the William Gillette Sherlock Holmes film to be added to the National Film Registry in the Library of Congress here. Nominations end on September 15. The next Harpooners of the Sea Unicorn meeting will be at Pio's restaurant in St. Charles on September 28. 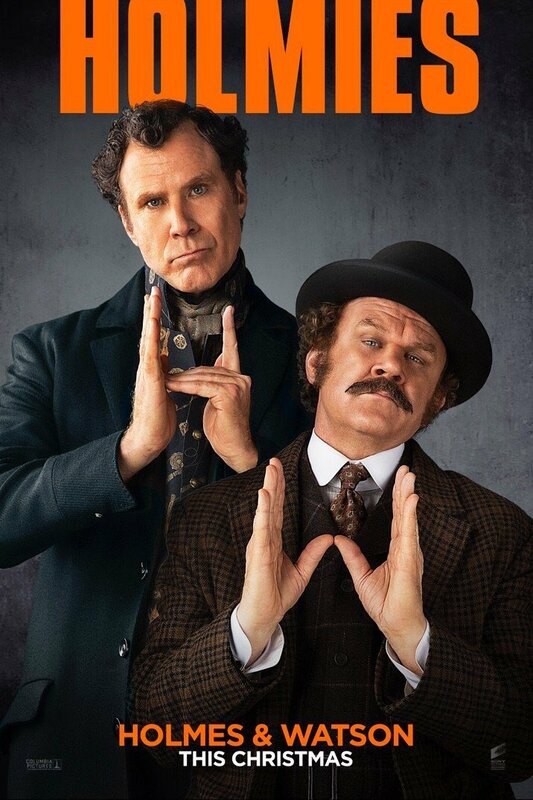 The first poster for Holmes and Watson was released on the internet last month. Will Ferrell and John C. Reilly play Holmes and Watson, respectively. Ralph Fiennes will play Moriarty and Hugh Laurie will be Mycroft Holmes in this rendition. 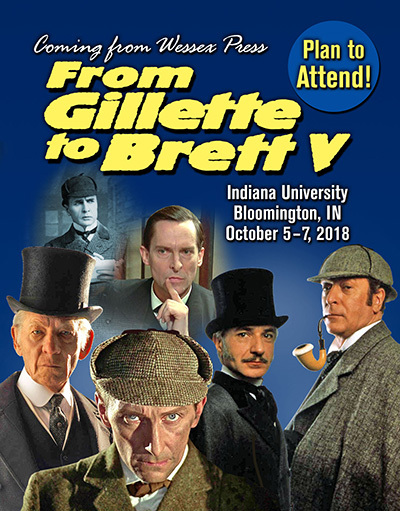 From Gillette to Brett will happen on October 5-7 in Bloomington, Indiana. Blocks of rooms keep selling out, so if you are interested reserve yours now! Miss Sherlock is now available to watch on HBO Go. No more illegal streaming necessary to see the widely praised new show. Michael Waxenberg reported that The Great Alkali Plainsmen of Greater Kansas City scion is back up and running! Their inaugural meeting was held last month with enthusiastic attendance. Their next meeting will be on October 21, and their guest will be author Darlene Cysper. Jim Hawkins of Nashville, TN has created a Facebook page for fans of John Bennett Shaw. 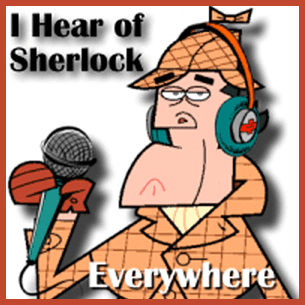 Not new, but worth noting are some great Sherlockian podcasts out there. 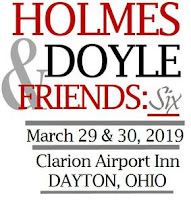 Scott Monty and Burt Wolder host not one, but TWO different shows: I Hear of Sherlock Everywhere, a long-form interview show with notable Sherlockians, and Trifles, a weekly show that spends 15-20 minutes discussing the finer points of the canonical tales. 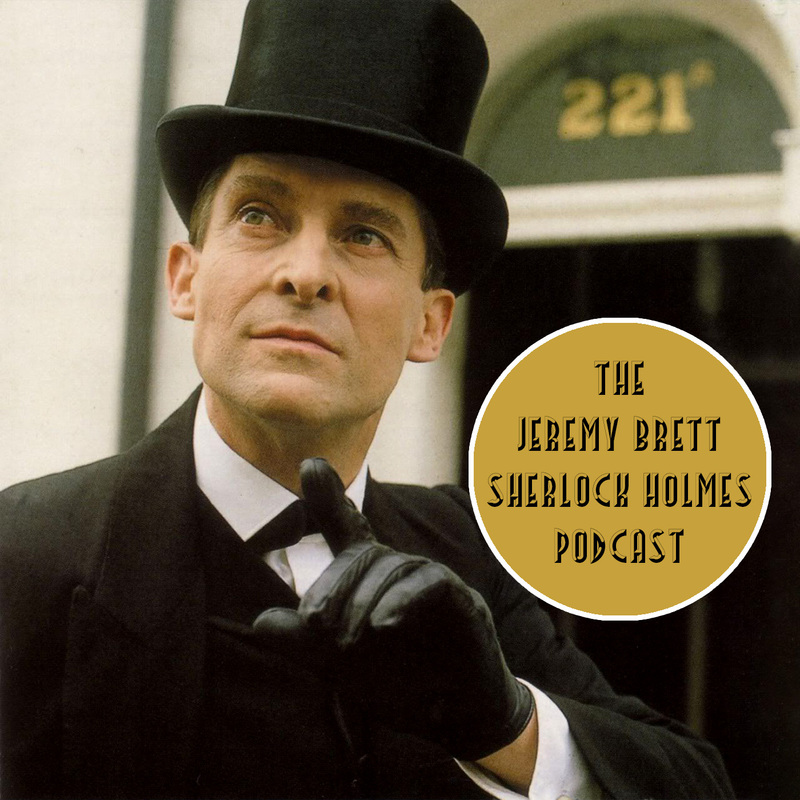 Two member of The Toronto Bootmakers, Mike Ranieri and Geordie Telfer, host a monthly podcast, I Grok Sherlock, where they talk about canonical tales and their media representations. And one last note, if you haven't already done so, like our Facebook page to get updates and Sherlockian news in your Facebook feed. If you haven't seen anything from us in your feed lately, Facebook has probably weeded us out of your algorithm, so pop back over to the page and like one of our posts. We will show back up in your news feed. We promise not to flood your feed, only posting about once a week, and we might be the only place left on Facebook where you can escape posts about politics! Our story starts off with Watson telling readers about the medical connection he bought after his marriage to Mary Morstan. He has been at work for three months now when Holmes comes to visit him. 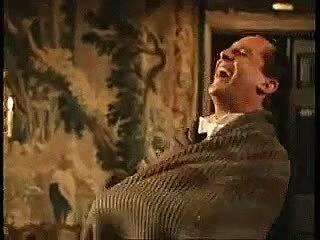 Holmes quickly deduces that Watson has had a cold and that he has a better business than his partner. Because every Sherlock Holmes story has to start off with Holmes showing off how good he is at observing things. We had quite a talk about the opening. Mary opined that it was done rather sloppily. Stacey pointed out that this is one story where we get to see Watson as just "Dr. John Watson" and not "Sherlock Holmes' roommate." Heather wondered if Watson and his neighbor's covering for each other was an early for of group practice that we see in many medical offices now. It was also asked what Holmes' purpose for recruiting Watson was for this case. He wasn't really needed, and the fact that Holmes went out of his way to get him was curious. Mary thought it was to see if Watson was still willing to join his old friend on adventures now that he was a married man. Stacey thought that Holmes simply missed his old partner. Kristen said that no matter the motive, she would gladly have ditched her daily responsibilities and jumped in the cab with Holmes, just like Watson! 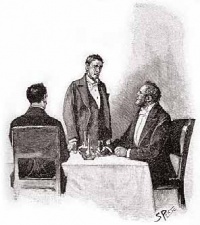 Their client, Hall Pycroft, is waiting in the cab and shares his story with Holmes and Watson. He's taken a job at a respected stock firm only to have a man named Arthur Pinner show up and offer him a much higher paying position at the Franco-Midland Hardware Company. In fact, Pinner gives Pycroft 100 pounds right there to take the position. Karl did the math online and figured that amount to equal $30,000 today. We debated how Pinner even knew how to find Pycroft and offer him the position. It was speculated that Pinner had someone working inside the other firm that alerted him to the new hire. Rob asked if Pycroft quoting the day's stock prices was realistic, and Michael shared some history of stockbroker's clerks, letting us know that they had to know the day's prices to do trades. Sure, Pycroft has a lot of money in front of him, but this new offer raises lots of red flags. He's told not to tell the other firm that he's quit and when he arrives at his new office, it's hardly more than abandoned room. He's also deduced that Henry Pinner, Arthur's brother that is running this office, is actually the same man that had hired him back in London. Stacey pointed out that Pinner's con was a cool game, reeling him in. Even though Pycroft had his reservations, Karl pointed out that as far as Pycroft knew, his other job was gone, so he didn't have much choice but to go along with this new scheme. We all noted the similarities between this scam and The Red-Headed League and The Three Garridebs. The mark needed to be out of a certain spot, so a ruse was constructed to get him away with a mundane task. Christopher noted that scams were all over the news of that day. If Hall Pycroft was such a bright young man, why wasn't he more aware of these types of scenarios? Mary also observed that Pycroft's story in the cab is filled with Cockney slang, but as the story went on, it had all but disappeared. Michael accredited that to some quality code switching. 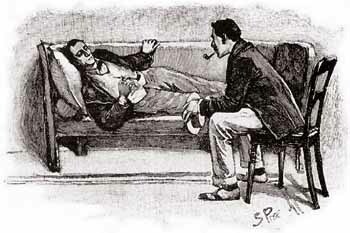 After Pycroft has finished his story, "Then Sherlock Holmes cocked his eye at me, leaning back on the cushions with a pleased and yet critical face, like a connoisseur who has just taken his first sip of a comet vintage." Rob explained what the phrase "comet vintage" meant, a phrase he'd learned from a recent episode of Trifles. As Holmes, Watson and Pycroft approach the Franco-Midland Hardware Company's office, they see Pinner buy a newspaper and rush inside. When Holmes and Watson enter the office, pretending to be an accountant and clerk looking for positions, Pinner tells them that jobs could become available soon, "And now I beg that you will go. For God's sake leave me to myself!" Pinner excuses himself and retreats to another room. Knocking and gurgling sounds soon come from the other side of the door, and the men break it down to find Pinner trying to hang himself. Adam pointed out that Holmes said the matter was pretty clear, but had forgotten about the newspaper. Once he did remember the paper, the rest of the story became clear: Pinner was working with a safecracker who had posed a Pycroft and stolen railroad bonds and mine scripts. Adam and Kristen debated the turn around time for Victorian newspapers, and if it was believable that the foiled robbery could have been in the newspaper that Pinner read. They agreed that it would have been a big stretch for it to have been possible. At the end, the bad guys were caught and the story ended. We are left without knowing Hall Pycroft's fate. Heather said this stuck out to her as she was reading. Is Hall Pycroft's name associated with the robbery and can he get another financial job? None of us had a very good answer for that. Ed noted that this story was published fairly soon after the Ripper killings were dominating the headlines. He noted that in About Sixty, Michael Duke theorized that Holmes had the police take all credit for the Pinner arrest to regain some positive image after the Ripper killings. Christopher wondered if the purpose of this story was to warn people against the numerous frauds that were committed in London at that time. Many of us felt that STOC wasn't a great detective story, but we all agreed that it was an entertaining story. There's a reason we keep coming back to the Canon again and again, and that's because they are darn good tales. Join us next time for our discussion on Sherlock Holmes' origin story, The Gloria Scott. We will be meeting on November 10. Come at once if convenient!